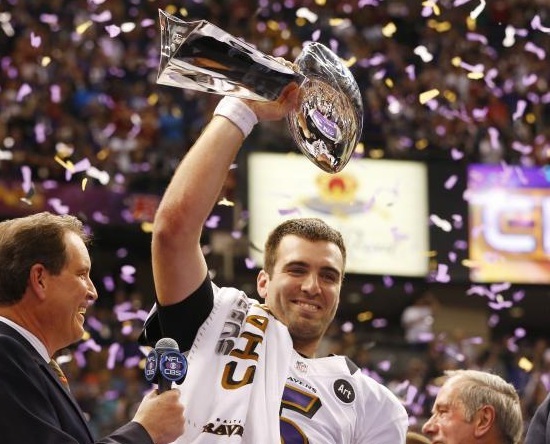 In this week's edition of The Bleacher Briefings podcast, we recap Super Bowl XLVII between the Ravens and 49ers, discuss the winners of the NFL regular season awards, and break down the Hall of Fame class of 2013! - Super Bowl Review: In a roller coaster affair, the Baltimore Ravens held off a furious rally by the San Francisco 49ers to win Super Bowl XLVII by a final score of 34-31. What were the keys to the game, and what ultimately led to a Baltimore victory? Hear our take. - NFL Honors Show: On Saturday, the National Football League handed out their regular season awards, and needless to say, there were some surprises. Which winners were deserving and which were questionable? We'll tell you. - Class of 2013: The NFL Hall of Fame class of 2013 is full of great names, including Cris Carter, Warren Sapp and Bill Parcells. We discuss the newest members into pro football's most exclusive club, and give our picks for the most deserving players that didn't receive the call. We select the best commercials from Super Sunday, and discuss which team from this year's Super Bowl has the best chance at a return trip to the big game next season! Great show guys. Really enjoyed it. Hate that the seasons over though.